“I have played Smash for a couple of hours since then and have sent Mario flying to his death countless times. I think that it is safe to say that Petey Piranha has at last been avenged. The plumber hopefully learned a lesson or two about how cruel it is to murder innocent NPCs. If he hasn't and continues on his evil ways, he can expect even worse punishments in the future. P.S. I have redeemed the two gift cards. Thanks again for another great round. ” — Kody B. “I could not see how this ad was so offensive to so many men unless they were looking to be offended. I could see some disliking for its use of social commentary to sell a product, but for the most part the majority are attacking the message instead. Furthermore, the comments on this particular video are some of the worst of what humanity has to offer. I'm glad to know that you also took the reasonable stance on this topic.” — Kody B.
Petey Piranha actually just got avenged at the end of January thanks to Piranha Plant's playable appearance, so seeing how Piranha Plant treated Mario after Kody B. 's comment, it looks like the plumber is continuing his evil ways. And you're welcome. Meanwhile, Kody B. also notes one of the few times that KoopaTV is on the reasonable side of an issue right away, as opposed to it being clear that KoopaTV was right only after a lot of time has passed. (Either way, KoopaTV is eventually correct.) And I enjoyed ShinyGirafarig's morbid comment, especially when you think about the activities and props she brought to her aquarium visit (which was written about on KoopaTV via guest post, here!). First of all, happy birthday, Samantha! Second of all... yeah, no. That's an incredibly dangerous sentence on your part, Ms. Lienhard. The lead here is so minuscule from Kody B. that you could have zero points right now and then still win the KoopaTV Loyalty Rewards Program Round 24, which you can read about here (including how to get points). And that's taking into consideration how short a month February is. Just start now and be active and do the activities. There weren't any corrections in the month of January 2019. The vast majority of corrections up to this point have been typos, so... good that I'm proof-reading articles, I guess. 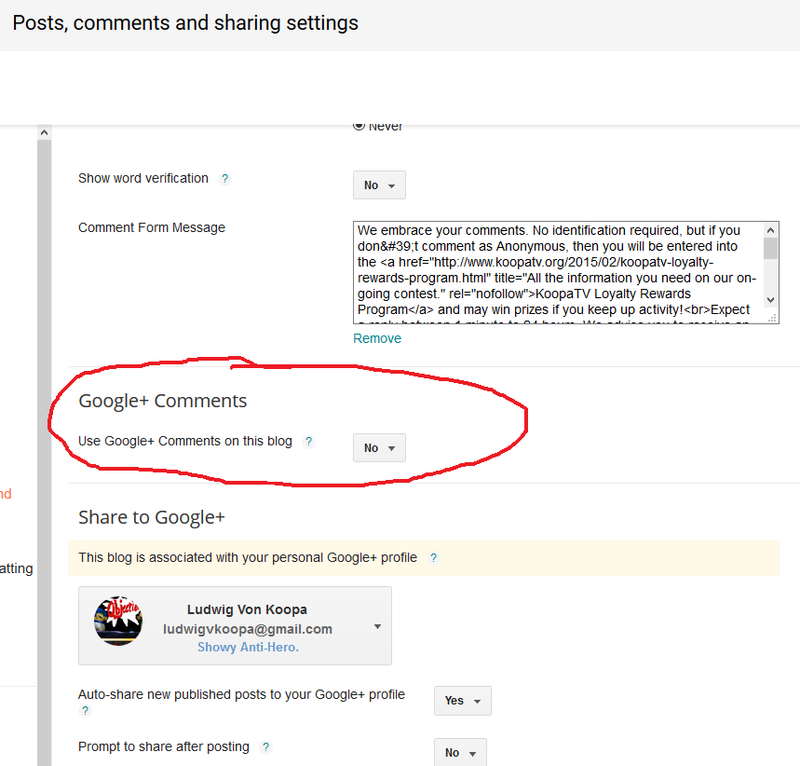 There is some limited Google+ integration with KoopaTV, and Google+ will cease to exist on April 2, 2019. (Just enough to avoid April Fools Day.) KoopaTV is safe, though. 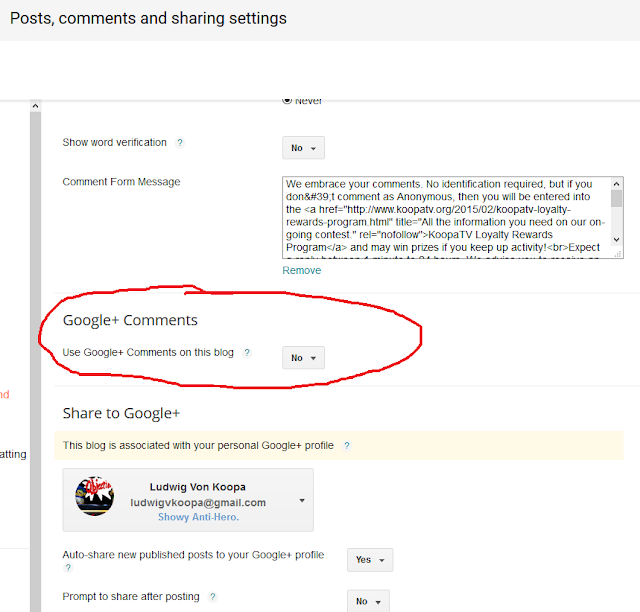 We chose not to integrate our comments section with Google+. That's a very important No. At the start of January I claimed that I'd try to fix all of the Scratch 3.0-caused glitches and issues in KoopaTV's set of videogames “soon.” To publicly show my progress, I've created this online spreadsheet, the KoopaTV Scratch Projects Dashboard. I won't work on KoopaTV's next videogame until our existing ones are fixed. By the way, Soviet Missile Run is even better than how I remembered it. Play it if you haven't already. Speaking of birthdays, it's also Kamek's birthday. Just saying. In honour of that, go share KoopaTV to people! KoopaTV does better when you're enthusiastic and social about the site. Don't you want KoopaTV to do better? Yes. You do. Do it. Booyah! back, also. Please check out the KoopaTV December 2018 newsletter here! Why not also see the February 2019 newsletter? But if you're really afraid of anything with 2018 in it, stay away from last year's January 2018 review newsletter. I sure do want to win more eShop points as I want to stockpile them for when I need to renew the Switch online membership. I used the $10 eShop card I won in the raffle towards paying for Wargroove but it was very much worth it. I really am enjoying the game. Good, regarding you enjoying Wargroove. I know you were looking forward to it for a long time! Bah, he was still correct! I'm still happy with Smash...!